Crush the Skull is a slasher, horror, comedy, heist movie co-written and directed by Viet Nguyen. The film is an official selection of the 2016 Seattle Asian American Film Festival and features acting performances by Chris Dinh, Katie Savoy, Chris Riedell, Tim Chiou, Lauren Reeder, and Walter Michael Bost. Oh my goodness, Crush the Skull is going to be a crowd favorite everywhere it gets shown. 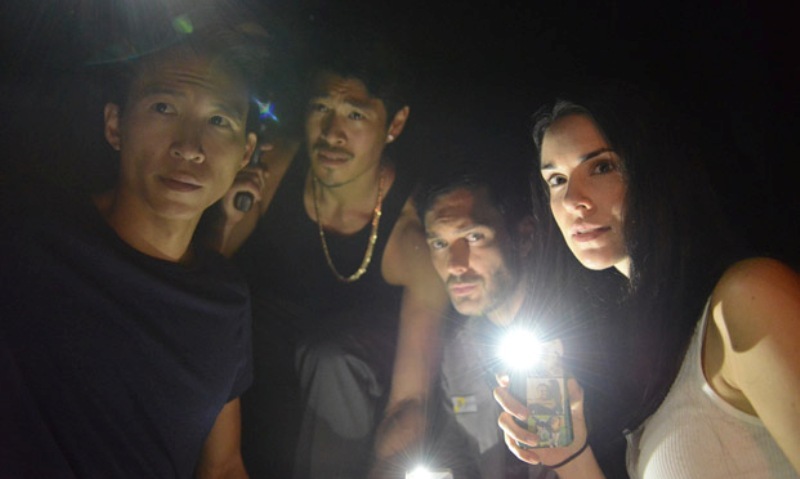 All you really need to know about the story is that it perfectly combines the comedy and horror genres and shows what happens when a group of not very good criminals comes face to face with some equally inept serial killers. This is one of those movies that surprises you and comes out of nowhere with how honestly entertaining it is. This is a no holds barred, go for broke take on the genre that features just as many jumps and screams as it does laughs and applause and every bit of it is legitimately good. To compare the experience I had watching this movie, I would have to go back to the first time I watched Cabin in the Woods in a sold out theater and the pure joy of seeing that film reveal itself one classic moment at a time. 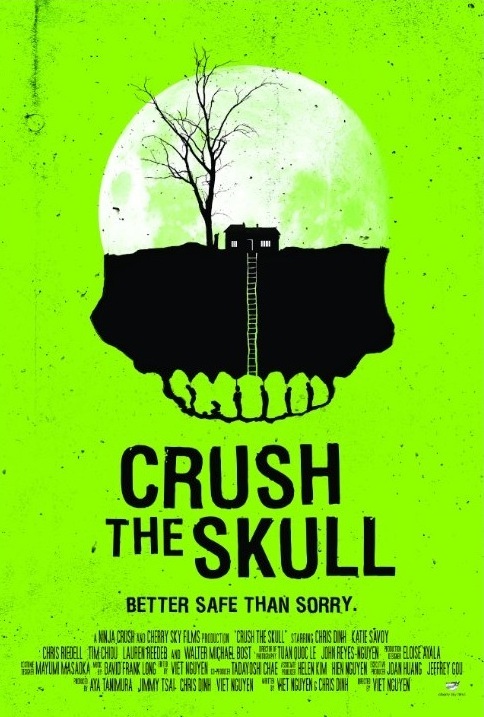 For Crush the Skull to work, the casting had to be perfect, the dialog had to be smart and witty, the scares had to be truly frightening, and the tension had to keep building up until the very last moment. Based on the huge reaction at the end of the film and the enthusiastic ovation as the credits rolled, I'd have to say the creative team can collectively drop the mic on this soon to be cult classic. Job well done guys, this is one movie I hope I have the chance to see again real soon.